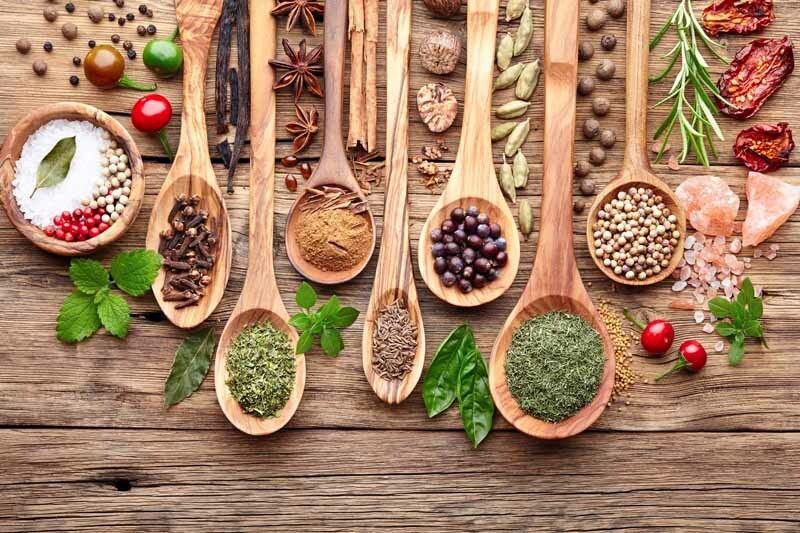 Herbs and spices provide our foods and beverages with a wonderful array of flavors, fragrances, and colors. And with today’s global marketplace, accessing some of the more exotic ingredients is now easier than ever… but perhaps a little more confusing too. For your convenience, and to take advantage of the many wonderful flavors now available to us, we’ve compiled this complete guide to culinary herbs and spices. From A to Z, there’s dry, fresh, or blended ingredients suitable for you and your recipes – and here’s how to use them all! We’ve split our 84 different selections into three different groups for your convenience. If substituting dried for fresh herbs, you should start out with around 1/2 of the amount called for in the recipes. If this is not enough, you can always add more but it’s fairly difficult to recover if you have added too much. You can also grow your own fresh herbs and preserve them yourself through dehydrating or freezing! Annatto is a spice and food coloring derived from the red seeds of the achiote tree, Bixa orellana. Native to tropical regions of the Americas, seeds are used to impart a yellow, orange, or red color to foods and for their earthy, slightly nutty, and peppery flavor. 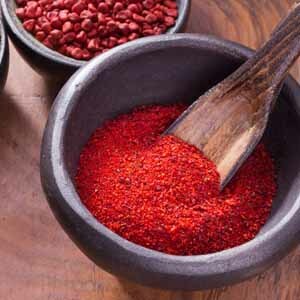 Used in powder or paste form, annatto is typically used in Mexican and Latin American cuisines in bean dishes, sauces, sausages, and stew and as an ingredient in dry-rub seasoning mixes for beef and seafood. Allspice is the dried, unripe berry of Pimenta dioica, an evergreen tree in the myrtle family native to the Caribbean regions of the Greater Antilles, Mexico, and Central America. The dried berries are slightly larger than peppercorns and impart a combination flavor of cinnamon, cloves, nutmeg, and pepper – hence the name allspice. 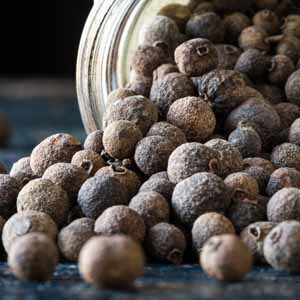 Popular in spice blends, allspice is used in both sweet and savory dishes. A staple in Jamaican and German cuisines, it’s widely used in curries, jerk seasonings, sausages, soups, and stews and it’s equally at home in cakes, cookies, pies, and other baked goods. 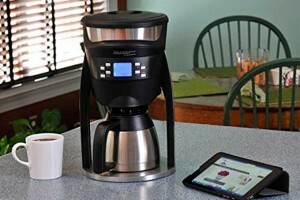 It’s also used to flavor condiments, mulled drinks, pickling spices, and spiced teas blends. Anise is the dried seed of an aromatic flowering plant, Pimpinella anisum, in the Apiaceae family that is native to the Levant, or eastern Mediterranean region, and into Southwest Asia. Its sweet flavor has a hint of heat and is similar to other licorice-like seasonings such as fennel, tarragon, and star anise. Anise seeds can be used whole or ground are often used in breads, candies, and desserts as well as savory dishes such as curries, meat dishes, pickles, sausages, seafood, stews, and some vegetables like beets and cabbage. It also adds flavor to serval potent liquors such as absinth, arak, ouzo, Pernod, and sambuca. Read more about anise here. 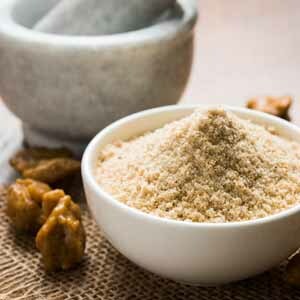 Asafoetida is the dried gum from the taproot of the species Ferula assa-foetida, a perennial herb from the arid regions of Afghanistan, Iran, and India. When cooked, its flavor is suggestive of leeks and onions. Sold in blocks of resin, small amounts are shaved off and added to Indian dishes as a digestive aid and as a flavoring agent in condiments, lamb dishes, pickles, and vegetarian dishes. 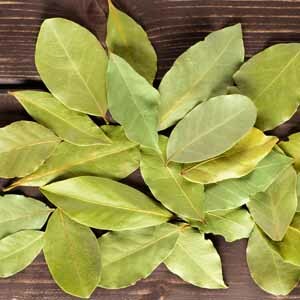 True bay leaves (bay laurel, true bay, sweet bay laurel) are harvested from the aromatic shrub, Laurus nobilis, which is native to the Mediterranean region. Fresh, its flavor is mild and slightly astringent with a hint of eucalyptus and light floral notes. Dried, the flavor mellows and takes on woodsy and floral or tea-like notes. Not to be confused with California bay, Umbellularia californica, which has an intense and pungent flavor of eucalyptus. Found in numerous cuisines such as Brazilian, Indian, Mediterranean, Middle Eastern, and Philippine, dried leaves can be used whole, crumbled, or dried. The subtle flavor adds depth to fish, meat, and poultry dishes and is a standard ingredient in sauces, soups, and stews. 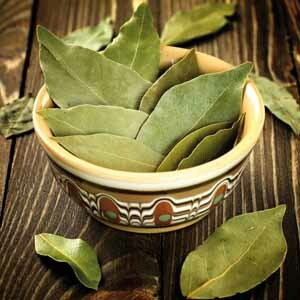 Read more about true bay leaves here. The California bay tree (Umbellularia californica, Lauraceae) provides Mediterranean bay-like taste but in much stronger intensities. The shrub-like trees are also know as pepperwood, California laurel, and Oregon myrtle and are found wild and cultivated along the western coast of the United States. They can be used in any application where Mediterranean bay leaves can be use, just in lesser amounts. 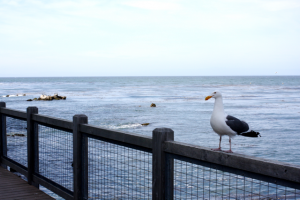 The California bay is often foraged and can be use fresh and dry and often used in stews, soups, vinegars, curries, and sauces. The herb pairs well with pork, fish, chicken, legumes, rice, pickles, and fruits. Native Americans used the herb for medicinal purposes. Caraway seeds are the dried fruit of the herbaceous biennial Carum carvi, in the Apiaceae family, and are indigenous to Western Asia, Europe, and North Africa. Their flavor is reminiscent of anise seed, with a sweet, licorice taste. Popular in Northern European cooking, caraway seeds are used to flavor breads and cakes, cabbage, cheeses, liquor, potato salad, and sauerkraut. Cardamom are the seeds (or seed pods) of two main species in the genera Elettaria and Amomum in the Zingiberaceae (ginger) family. Native to the Indian subcontinent, E. cardamomum is true, or green cardamom, white cardamom is the result of bleaching, and black is from the species A. subulatum. Flavors are deep and earthy, with a hint of citrus and mint and smoky notes in black cardamom. 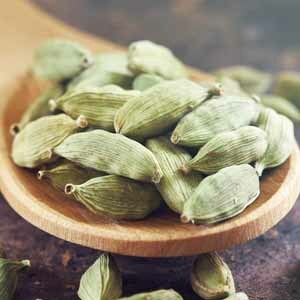 Suitable in both sweet and savory recipes, cardamom marries well with other spices like cinnamon, cloves, and nutmeg. Widely used in Indian and Middle Eastern cuisine, it’s added to curries, meatloaf, rice, sausages, and vegetarian dishes. It’s also used extensively in Scandinavian countries, primarily in baked goods like breads, pies, and fruit tarts. And it flavors beverages from coffee and tea to eggnog and mulled spirts. Read more about cardamom here. 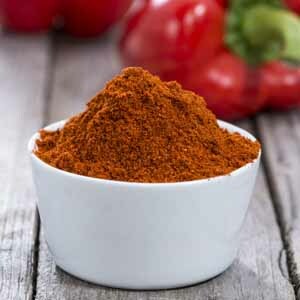 Cayenne pepper is the dried and ground fruit of Capsicum annuum, a frost-tender herbaceous perennial in the Solanaceae family native to the Caribbean Islands, Mexico, Central America, and northern regions of South America. Spicy and hot, it has a medium intensity of 30,000-50,000 Scoville units. Liberally used in Asian, Cajun, Indian, Mexican, and Southern cooking, it’s excellent added to beans, casseroles, cheese or egg dishes, curries, meats, salsa, sauces, and stews. But use a gentle touch and taste before adding more – cayenne packs a lot of heat in a small amount. Read more about cayenne pepper here. Another member of the Apiaceae family, wild celery (Apium graveolens) is a marshland plant with a global habitat that has been cultivated as a food for millennia. The small seeds are dried and have a strong, concentrated flavor of celery – loamy and grassy with a slightly bitter afternote. The seed is used either whole or ground to add warm flavor to meatloaf, salad dressings, sausages, soups, sandwich spreads, steaming liquid for shellfish, stock, and vegetables. It’s also an essential spice in many preserves like chutney, mustard, and pickles and to flavor homemade breads. Celery salt is made by mixing salt with the ground seeds, leaves, and/or roots and is used to season cocktails like Bloody Mary’s and Bloody Caesar’s and in seasoning blends like Old Bay. Salvia hispanica, commonly known as chia, is an annual flowering herb in the mint (Lamiaceae) family native to Mexico and Guatemala. Dried, the seeds have a mild flavor with a crunch and texture like poppy seeds. When soaked, the seeds absorb up to 10 times their weight in liquid and become gelatinous, taking on a slightly sweet taste. 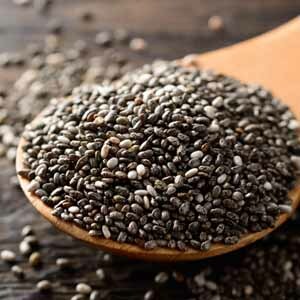 Used in cuisines of western Mexico and South America, chia seeds make an excellent egg substitute, and can be added to recipes for protein bars, breads, cookies, cereal, crackers, oatmeal, pudding, shakes, smoothies, and yogurt. 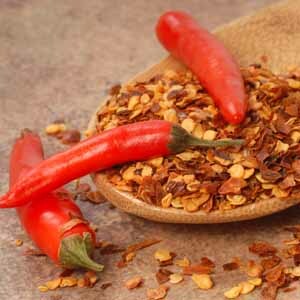 Chili flakes, also known as crushed red peppers or red pepper flakes, is a blend of various hot red peppers from the Solanaceae family usually in the range of 30,000-50,000 Scoville units. With warm, fiery flavors crushed chilies are mid-range in heat intensity, and all parts of the dried and crushed peppers are used including the seeds, skin, and veins. 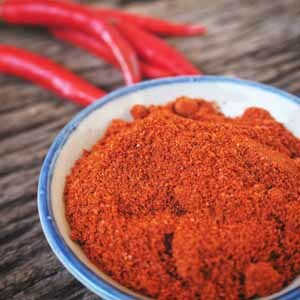 Use extensively in Asian, Chinese, Italian, Mexican, and TexMex cuisines, chili flakes will add a lively taste to vegetables, meat and seafood dishes, and pizza. Cinnamon is the dried inner bark of a few species from the genus Cinnamomum, a tropical evergreen tree in the laurel (Lauraceae) family. 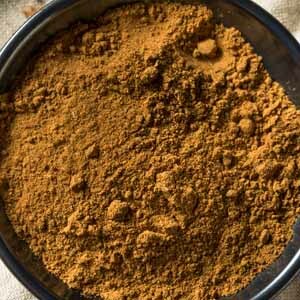 C. verum is native to Sri Lanka (Ceylon) and is known as true cinnamon, with a delicate, sweetly spicy flavor and fragrance. C. cassia is Chinese cinnamon and has a stronger, spicier flavor. Cinnamon is beloved in both sweet and savory dishes around the world and can be used whole as sticks or ground. Ceylon cinnamon (C. verum) is considered superior for baked goods like buns, cakes, fruit desserts, pies, and quick breads while C. cassia is more often used in savory dishes. 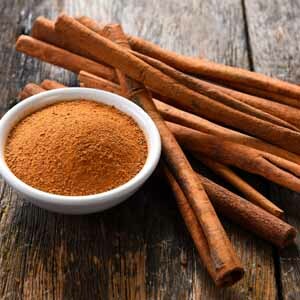 Common in Middle Eastern and North African cuisines, cinnamon often flavors curries and lamb dishes, is also a popular ingredient in spice blends like pumpkin pie spice and garam masala, and is used in other beverages like mulled wine and cider as well as spicy teas. Cloves are the dried flower buds of an aromatic tree in the myrtle (Myrtaceae) family, Syzygium aromaticum. Native to the Indonesian Maluku Islands, their flavor is strong and pungent – sweet, almost hot, yet fruity and cooling. Another spice well-suited to both sweet and savory cooking, cloves are used extensively Asian, African, and Near and Middle Eastern countries in curries, fruit desserts, marinades, and meat dishes. 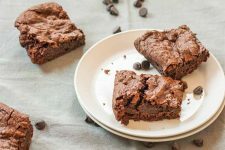 It’s also flavors baked goods and hot drinks and is a central ingredient in spice blends such as Baharat, pumpkin pie spice, quatre epices (four spices), and speculoos spices. 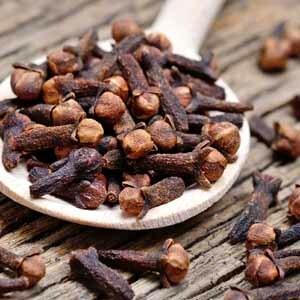 Read more about cloves here. Coriander, Coriandrum sativum, also known as cilantro or Chinese parsley, is an annual herb native to Iran that also belongs in the Apiaceae family. 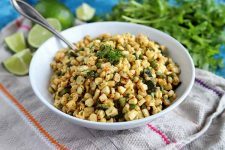 In cooking, the fresh leaves are commonly used as cilantro while the dried seeds are traditionally referred to as coriander. Seeds have a warm, nutty flavor with citrus notes. Popular around the globe, coriander is extensively used in Asian, European, Indian, and South African cuisines to flavor breads, meat dishes, pickling spices, sausages, stir fries, and vegetables as well as lending its flavor to beer and spiced tea. Read more about coriander here. 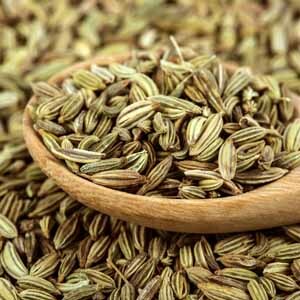 Cumin, Cuminum cyminum, is another annual flowering plant in the family Apiaceae, native to the Middle East and into India. The dried seeds have a loamy, nutty taste with a hint of bitterness and citrus. Whole or ground, cumin is used in the cooking of numerous cultures. Popular in Mexican, TexMex, and Indian cooking, cumin flavors achiote blends, adobo sauces, baharat, chili powder, curry powder, garam masala, soups, and stews as well as some cheeses and breads. Dill seed is the dried fruit of the dill plant, Anethum graveolens, an annual, flowering herb in the family Apiaceae. 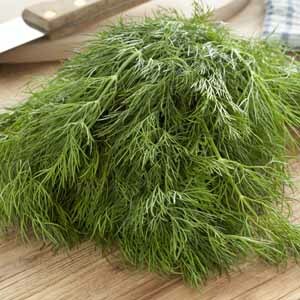 Native throughout Eurasia, dill seed is used for its distinctive taste, a combination of caraway and fresh dill. 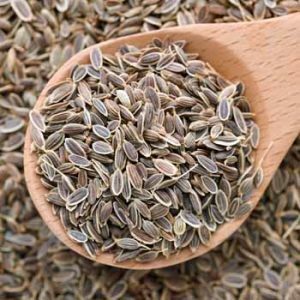 Dill seeds are used through Europe, the Middle East, North America, and Southeast Asia to season bread, chutney, pickles, salad dressings, salmon, soups, vegetables, vinegar and pickles. 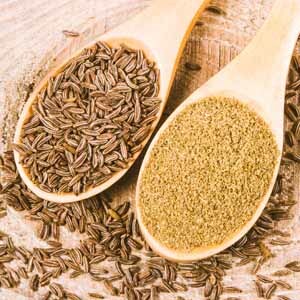 Fennel seeds are the dried fruit of a flowering species, Foeniculum vulgare, in the Apiaceae family. A hardy, perennial herb native to the Mediterranean basin, seeds are aromatic with a distinctive, sweet licorice flavor similar to anise. 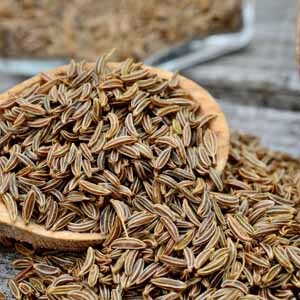 Fennel seeds are used in savory dishes and sweet desserts alike, and are highly featured in Asian, European, Indian, and Middle Eastern cooking. They’re a natural with chowder, couscous, curries, fish and seafood dishes, fish soup and chowder, lentils, pickling spice mixes, pork, sausages, and in baked goods like biscuits, rye breads, and sweet pastries. They’re also essential in several spice blends such as Chinese five-spice powder. 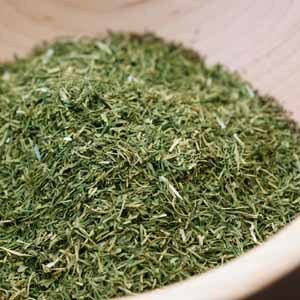 Read more about fennel seeds here. 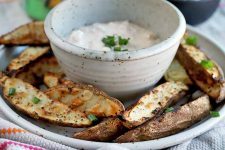 Garlic powder is made from dehydrated garlic bulbs, Allium sativum, which are ground into fine particles and has a lightly sweet flavor that’s milder than fresh garlic. A common seasoning in barbecue sauces, dry rubs for meats, garlic bread, pasta sauces, pizza toppings, popcorn, ranch dressing, roasted nuts, seasoned salt blends, and spice mixes. 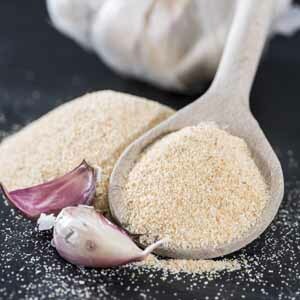 Garlic is also found in a granular form which is just a courser version of the flour-like powder. Read more about garlic here. Ginger powder is the dried and ground root of the flowering tropical plant Zingiber officinale, and has a milder and slightly sweeter taste than that of fresh ginger root. Ginger powder is used in Asian and Indian cuisines, curries, salad dressing, marinades for chicken and salmon, stir fries, and vegetables. And it’s a popular ingredient in baked goods, beverages, and desserts like applesauce, breads, candies, cakes, cookies, fruit tarts, ginger beer, and tea. 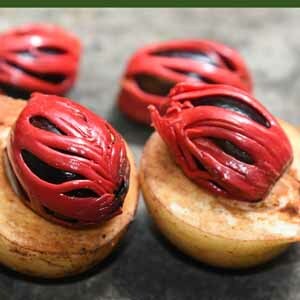 Gochugaru is a dried ground red pepper (hong-gochu), in the species Capsicum annuum with a mild to medium heat of 10,000 Scoville units and has a sweet, sun-dried flavor with a hint of smoke. Widely used in Korean cooking, it’s a staple dipping sauces, dressings, kimchi, and marinades. It comes in both coarsely and find ground versions as well as thick condiment and ingredient paste called gochujang. Aframomum melegueta. Indigenous to swampy regions of coastal West Africa, the ground seeds have a pungent flavor akin to black pepper with light notes of floral and citrus. Typically used in the cuisines of West and North Africa, Grains of Paradise are also used to flavor beer and season sausages and can be used to season any dish you would normally use black pepper on. Please see Makrut Lime Leaves. Also known as black lime, loomi is ground from Persian limes (C. × latifolia) that have been brined then dried. With a sour flavor of limes and an understated sweetness, it also has notes of asafoetida and vinegar. 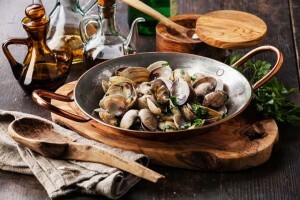 Used to add a sour note to many Middle Eastern dishes, it’s widely used with lentils, rice, soups, stews, tagines, and is popular with fish, grilled meat, and poultry. 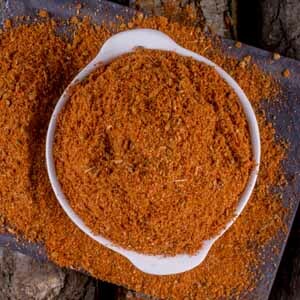 Loomi is also a good addition to dry rubs, meat marinades, and seasoning salt mixes. Mace is derived from the dried and ground seed cover, or aril, of the nutmeg tree, Myristica fragrans, which is native to the Moluccas Islands. 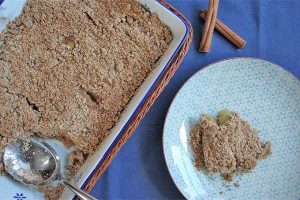 Its flavor is like that of nutmeg, a blend of cinnamon and pepper, but with a more nuanced and sweeter flavor than nutmeg. Mace is widely employed in Asian, British, Caribbean, Dutch, French, and Moroccan cuisines. A star in savory dishes it suits curries, fish, meat, pickles and preserves, sausages, stews, and vegetables as well as cheese dishes, cream sauces and soups, custards, and souffles. 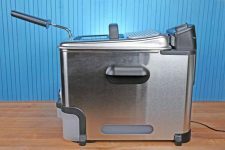 It can be used in baked goods as well, like cakes, donuts, and pastries or to brighten up hot chocolate or tropical-fruit punches. Read more about nutmeg and mace here. Mahleb is an aromatic spice ground from the internal kernel of the sour cherry pits of the mahleb cherry tree, Prunus mahaleb, native to Iran. The flavor is somewhat sour and nutty, a blend of bitter almond and cherry reminiscent of marzipan. Makrut lime leaves come from the makrut lime tree, Citrus hystrix, a citrus fruit indigenous to the tropical regions of the Indian subcontinent, Southeast Asia, and the Philippines. Both the rind and leaves are highly aromatic and impart a deep citrusy fragrance and flavor, but the leaves are most often used for cooking either dried, fresh, or frozen. Makrut lime leaves are used extensively in the cuisines of southern India and Southeast Asia. 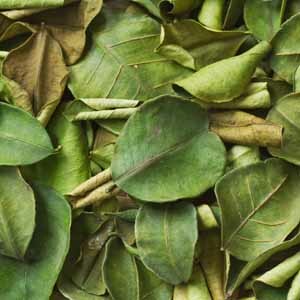 The leaves are rarely eaten but are added to dishes to imbue them with their distinct lime flavor – much like bay leaves are used. They add a bright, sweetly tart flavor to curries, fish cakes, pilafs, seafood, soups, stir fires, and vegetables. Add a few leaves to fish, pork, or poultry marinades, or combine with lemongrass and ginger for an Asian-flavored bouquet garni to flavor soups, stews, and stock. As the second most commonly used spice in sauces and condiments such as “mustard,” these seeds hugely important to culinary pursuits world-wide. The mustard plant belongs in the genius Barssica in the mustard family (Brassicaceae) and is related cabbage, broccoli and Brussels sprouts. The common yellow seed producing variety grows to 6 feet tall and bears yellow flowers that produce pods that contain up 20 seeds. 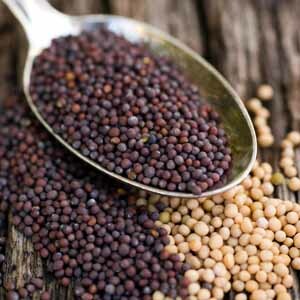 Although there are over 40 varieties, the most common source for mustard seeds are black mustard (Brassica nigra) native to the Middle East and Asia Minor, brown mustard (Brassica juncea) originally from the Himalyas and used in Chinese cooking, and the most common, yellow mustard (Brassica alba), often used in European and American cuisine. This yellow type is often used in canning and pickling recipes and is the source for the yellow color and flavoring in the condiment of the same name. Read more about mustard seed here. 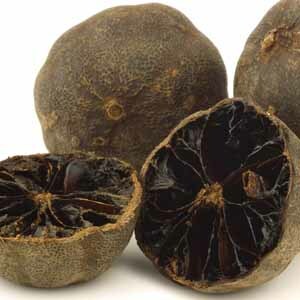 Fragrant, or true nutmeg is the dried seed of a tropical evergreen tree, Myristica fragrans, native to the Moluccas Islands – the same tree the produces mace. The ground spice has a deep fragrance and warm, slightly sweet taste that makes it a suitable ingredient to both sweet and savory foods. 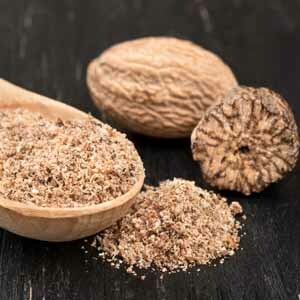 A popular ingredient in Greek, German, and Middle Eastern cuisines, nutmeg is best enjoyed when fresh-grated. Use with cheese sauces, meats, sausages, savory sauces, stews, and vegetables like dark leafy greens, potatoes, and winter squash. 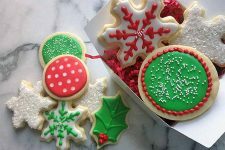 It’s also an essential ingredient in autumn and winter baking blends for cakes, cookies, pies, and puddings and in beverages such as coffee, eggnog, mulled cider and wine, and spicy teas. Read more about nutmeg here. Nutritional yeast is a deactivated yeast (it won’t rise to leaven breads), usually from the strain of Saccharomyces cerevisiae, and its flakes are used as a flavoring agent and for its important nutritional profile. 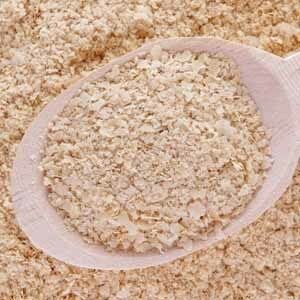 Completely different from bread yeast, flakes of dry nutritional yeast add a creamy/cheesy/nutty flavor. Popular with vegans and vegetarians, nutritional yeast can be added to grains, legumes, savory sauces, tofu, pasta, vegetables, and as a cheese replacement to flavor popcorn. 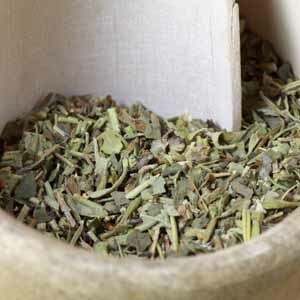 Oregano is a flowering perennial herb in the mint family (Lamiaceae), native to temperate Eurasia and the Mediterranean basin that is used fresh or dried, with a warm, almost citrusy flavor. 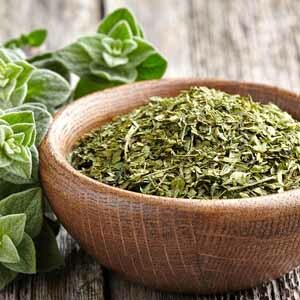 An important culinary herb in Greek, Italian, Latin American, Mexican, and Spanish cuisines, oregano is widely used with grilled meats, tomato sauces, pasta, pizza, vegetables, and in marinades and salad dressings. 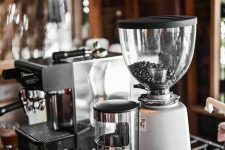 It’s also a primary ingredient in blends such as “Italian”. Read more about oregano here. 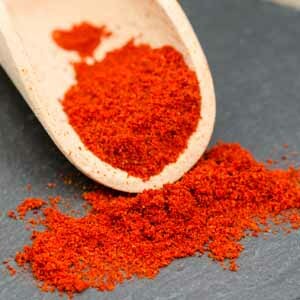 Paprika is a ground spice made from the dried fruits if the species Capsicum annuum – usually bell, sweet, or tomato peppers that can also include some of the more intense chili or cayenne peppers. Flavors can range from mild and sweet through to pungent and hot. 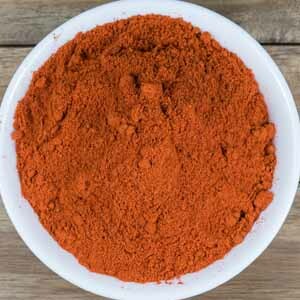 Heavily used in Hungarian cuisine, paprika is also found in Eastern European, Latin American, Mexican, and Thai cooking. 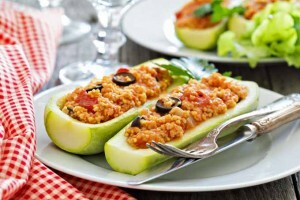 It flavors savory dishes such as goulash, meat dishes, poultry, rice pilafs, sausages, soups, and stews. Peppercorns are the dried fruit of the flowering vine Piper nigrum in the family Piperaceae and are native to the tropical regions of south India. 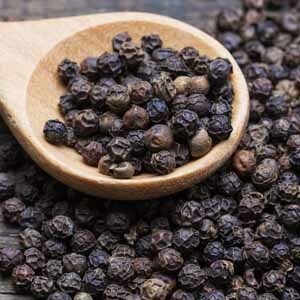 The most popular globally traded spice, pepper has a mild, spicy heat with sweet, earthy notes. Used to flavor any savory dish, pepper is a staple many spice blends and when used with eggs, fish, grains, legumes, meat, poultry, soups, stock, and vegetables. 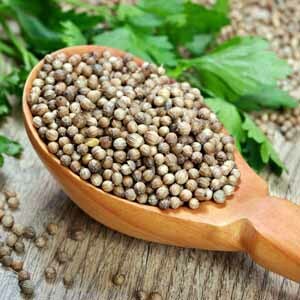 Read more about peppercorns here. 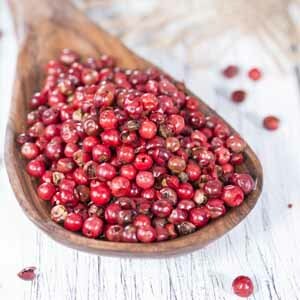 Pink peppercorns are the dried berries of an evergreen shrub known as the Peruvian peppertree, Schinus molle, native to the Peruvian Andes and into central Argentina and central Chile. Not related to true pepper (Piper nigrum), pink peppercorns are so named because of their similarities in size, shape, and the warm, sweet taste of black peppercorns. 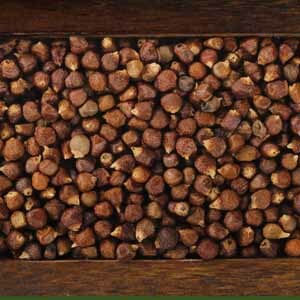 Often commercially blended with white and black peppercorns, pink peppercorns can be used to season any dish regular pepper would – although it should be noted that pink peppercorns are potentially toxic to small children. Rosemary, Rosmarinus officinalis, is a woody, perennial herb in the Lamiaceae (mint) family native to the Mediterranean area. Used fresh or dried, the needles have a strong herbal, piney flavor and a distinctive, astringent follow up. 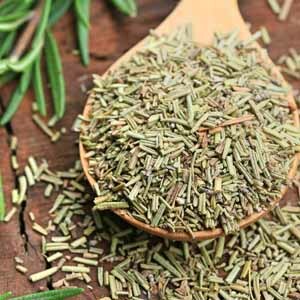 Used extensively in Mediterranean cuisines, dried rosemary complements fish, grilled meats, lamb, pork, poultry, stews, and vegetables and is used in dry rubs, herbes de Provence, marinades, and salad dressings. Saffron is a spice from the dried stigmas of the saffron crocus, Crocus sativus, and is native to the Mediterranean basin. Stigmas are used whole as “threads” or ground for their mild, slightly bitter floral flavor and the bright yellow hue they impart to foods. 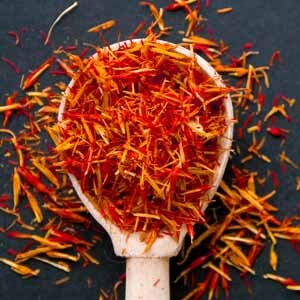 The most expensive spice by weight, saffron is used in Asian, Indian, and Mediterranean cuisines to flavor curries, fish, poultry, rice, risotto, and seafood. Read more about saffron here. Common, garden, or culinary sage, Salvia officinalis, is an evergreen, woody perennial herb in the mint family, Lamiaceae, and is native to the Mediterranean region. The leaves are used fresh or dried for its warm, peppery, and piney flavor with hints of citrus and eucalyptus. Used in several European cuisines to flavor casseroles, ground beef, meat loaf, pork, poultry, sausages, and stews it’s also popular in Britain and North America to flavor poultry stuffing at Christmas and Thanksgiving. Table salt is a naturally occurring mineral comprised mainly of sodium chloride and is obtained by mining, evaporation of seawater, or evaporation of shallow, mineral-rich springs. 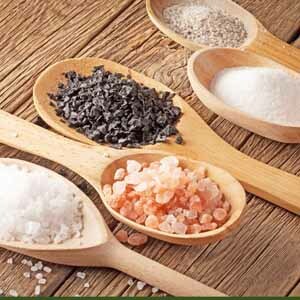 One of the five basic human tastes, salt is used to add flavor and enhance the taste of other foods. An essential ingredient for human life, salt is used as a condiment for eggs, fish, grains, legumes, meat, poultry, and vegetables. It’s also used as a preservative in curing fish and meats, in pickles and preserves, and to flavor savory dishes, sweets, and baked goods. Smoked paprika comes from the same varieties of sweet peppers as regular hungarian paprika, but the peppers are smoked over an oak-wood fire instead of sun dried. The results is a lovely, sweetly smoky and lightly spiced flavor often found in spicy sausages like chorizo or salami, and paella. It’s not a hot spice unless otherwise noted on the container. It’s also known as sweet paprika, Spanish paprika, pimenton, or smoked pimenton but it’s always characterized by a deep red color and a pungent smokey flavor and smell. Among the most popular of savory herbs, summer savory, Satureja hortensis, is an annual in the Lamiaceae (mint) family. Its close cousin winter savory, Satureja montana, is a perennial, semi-woody herb in the same family, and both are native to northern Africa, southern Europe, and the Mediterranean. Summer savory is used more frequently in cooking for its piquant, earthy flavors of mint and thyme while winter savory takes on a slightly bitter taste. Savory is used extensively in Atlantic Canada and eastern European countries like Bulgaria and Romania to flavor beans, bread coatings for fish, grilled meats, lamb, lentils, pasta and pizza toppings, sausages, seafood, stews, stuffing for game and poultry, vegetables, and is a primary ingredient in herbes de Provence. Star anise is the dried, star-shaped fruit pod of an evergreen tree, llicium verum, native to Northeast Vietnam and southwest China. And like the unrelated anise, its flavor is sweet, peppery, and licorice-like. 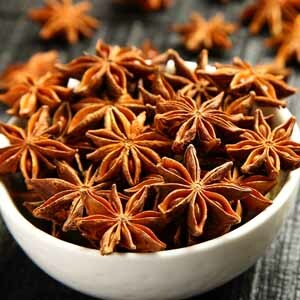 More economical than anise, star anise is widely used in the cuisines of China, India, Indonesian, and Southeast Asia to season meat, root veggies, soups, stews, and baked goods like cakes, cookies, and pastries. It’s also a main ingredient in the traditional Chinese five-spice powder and is used to flavor coffee, liqueurs, mulled wine, and spiced tea. Read more about star anise here. 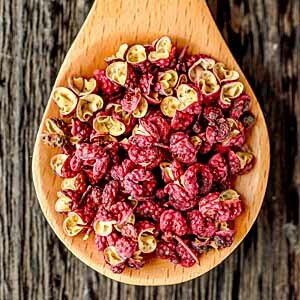 Sumac is the dried and ground fruit of the sumac tree, Rhus coriaria, that grows in temperate and subtropical regions of Africa, East Asia, and North America and has a tart, citrus flavor. Known for it’s tart taste, it is milder than lemons or limes and is usually sold already ground but can also be found in the whole berry form. 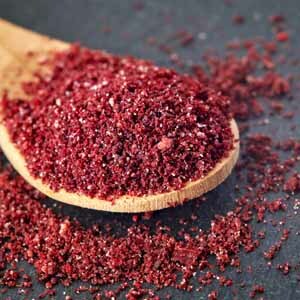 Used to season south Asian and Middle Eastern cuisines, sumac adds a zing of tart taste to kebabs and grilled meats, meze (appetizer) dishes, rice, and salads, and is often added to the spice blend za’atar. Szechuan peppercorn is neither a chili pepper (Capsicum) or related to black pepper (Piper nigrum). It comprised of the pink and read outer hulls of the prickly ash shrub (Zanthoxylum). It is used due the numbing sensation it has on the mouth an tongue and is utilized to reduced the perceived heat of chili peppers (that also are a big influence in Szechuan cuisine). The theory is that this effect allows the fruity flavor of the chilies to shine through more. By itself, the spice has a lavender like taste. Used primarily just in Szechuan-style Chinese food such as stir fries and hot pots. 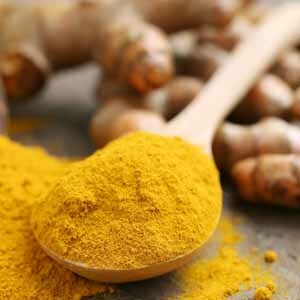 Turmeric, Curcuma longa, is the dried and powdered rhizome of an herbaceous perennial in the Zingiberaceae family. Native to the wet, tropical regions of the Indian subcontinent and Southeast Asia, turmeric is a close cousin of ginger and is used fresh or dried. 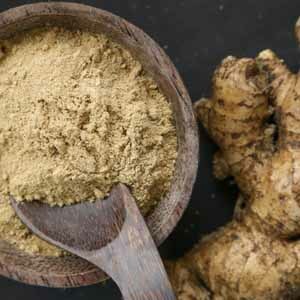 It has a warm, earthy flavor with hints of ginger and pepper and imparts a bright, yellow hue to other foods. Used extensively in Asian, Indian, and Middle Eastern cooking, turmeric is used primarily in savory dishes and is a staple ingredient with curries, lentils, meats, mixed with nuts and raisins, rice, salad dressings, and vegetables. It also flavors mustard and pickles, spicy teas, and is a main ingredient in the spice blend ras el hanout. Read more about turmeric here. Thyme, Thymus vulgaris, is an aromatic, perennial evergreen herb in the Lamiaceae (mint) family native to the Mediterranean basin. The leaves can be used fresh or dried for their strong, woodsy, and almost minty flavor. Used extensively in French, Italian, and Mediterranean cuisines, thyme adds a delicate flavor to beans, eggs, fish, poultry, seafood, soups, stews, stock, stuffing, and vegetables. It’s also a primary ingredient in bouquet garni, herbes de Provence, and the spice blend za’atar. Read more about thyme here. Vanilla comes from a species of orchid, Vanilla planifolia, indigenous to Mexico and Central America. 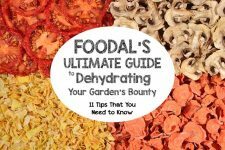 With a sweet, woodsy, and lightly spiced flavor, the dehydrated whole bean (seeds plus pod) can be used for flavoring and vanilla extract, paste, and powder are also available for convenience. 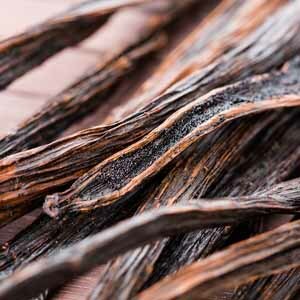 Vanilla pods can be used whole in recipes, or the pods can be split, and the seeds scraped out and added into liquids or batters for baked goods. Vanilla powder is pure, dried, and ground vanilla bean that gives more flavor than vanilla extract and doesn’t have the alcohol content. Vanilla power should be used as a dry ingredient in baked goods like cakes, cookies, and pancakes, and can be substituted for extract using a ratio of 1/2 teaspoon powder for 1 teaspoon extract. Vanilla paste is mixed with a natural thickener, sugar, and water and can be substituted for extract at a 1 for 1 ratio. Vanilla paste is best suited as a liquid ingredient in butter creams, custards, or panna cotta. Read more about vanilla here. There’s nothing better that throwing a sprig or two of a fresh herb into a recipe to instantly ratchet up the flavor and the appearance of the dish. They can be a bit finicky to maximize the flavor that is extracted. Delicate herbs such as dill weed, chives, cilantro, basil, parsley, and mint should be included just before the end of cooking or added to the dish just before it it served. The hardier varieties such as thyme, rosemary, and oregano can be added in the last 15-20 minutes of cooking. You can source your fresh herbs from supermarkets where they are found bunched inside of small plastic bags, loose in boxes, or bunched with rubber band. You can even try growing your own! To source the more exotic fresh herbs and spices, get out of your comfort zone and visit Asian and Middle Eastern grocery stores and markets where you’ll often find them at lower cost and much higher quality than those offered at your local HEB, Food Lion, or Albert’s. Don’t let the more tender varieties hang around too long. Cilantro, basil, tarragon, dill, and chervil will blacken fairly quickly so these should be used within a couple of days of purchase. The more hardier varieties such as sage, rosemary, and thyme will stay fresh and green for a week or two as long as they remain cool and dry. For more information on using fresh herbs, check out our guide. Basil, Ocimum basilicum, is an annual kitchen herb in the Lamiaceae (mint) family originally from the tropical areas of central Africa through to Southeast Asia. Several cultivars have culinary uses from sweet, Genovese basil to Thai and lemon varieties. Basil is best used fresh for its tantalizing fragrance and bright spicy taste – a fresh, green flavor of sweet anise and cinnamon with notes of cloves in the Asian varieties. 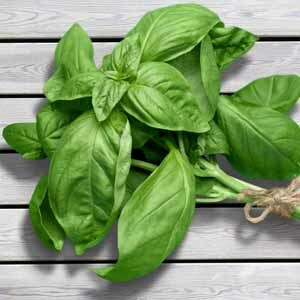 Widely used in Asian and Mediterranean cuisines, basil adds its fresh flavor to noodles, pasta, pesto, salads, salad dressing, sandwiches, sauces, soups, stir fries, and vinaigrettes and is best added to cooked foods at the last minute to retain flavor. Read more about basil here. Chervil, Anthriscus cerefolium, is a tender, flowering annual herb in the Apiaceae (carrots, celery, and parsley) family native to the Caucasus, with a mild, licorice-like flavor similar to basil or tarragon. 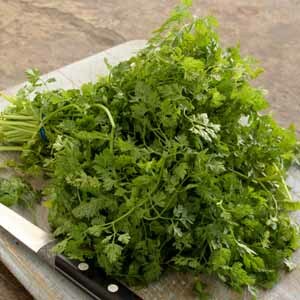 Chervil should be used fresh or added to cooked dishes at the very end as cooking destroys its gentle flavor. 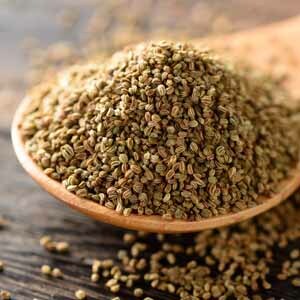 Read more about chervil here. Chives, Allium schoenoprasum, are a bulb-forming perennial in the Allium (onion) genus native to much of Asia, Europe, and North America that is used for its mild, onion-like flavor with hints of garlic. Popular in several global cuisines, both flowers and scapes (leaves) are edible. Fresh, the flowers and scapes cab be diced and used to season canapes, compound butters, eggs, fish, seafood, sandwiches, soups, vegetables, and as a garnish. 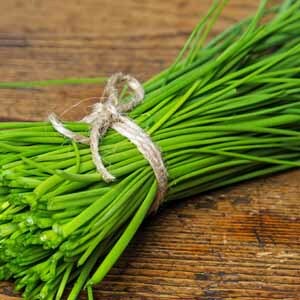 Read more about chives here. 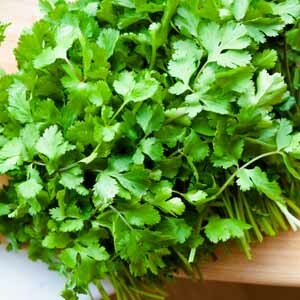 Cilantro leaves come from the coriander plant, Coriandrum sativum, an annual herb in the Apiaceae family native to Iran. The leaves and stems have a sharp herbaceous flavor with notes of lemon and lime. Used in Asian, Caribbean, Latin American, and Mexican cooking cilantro flavors chutneys, dal, guacamole, salsa, salads, and soups and is best used fresh for peak flavor. Curry leaves, or sweet neem leaves, come from the curry tree, Murraya koenigii, which belongs to the family Rutaceae (rue) and is native to subtropical regions of India and Sri Lanka. The pungent leaves aren’t related to curry powder, but they give a similar flavor – warm, spicy, and herbal with distinct citrus notes. 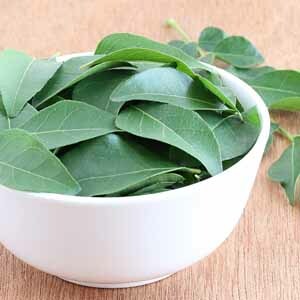 Used in the cuisines of India, Malaysia, Pakistan, Singapore, and Sri Lanka, the flavor of fresh curry leaves works well in chutneys, curries, rice pilafs, soups, stews, and vegetarian dishes. Dill, Anethum graveolens, is an annual, flowering herb and yet another member in the family Apiaceae. Native to broad areas of Eurasia, dill is used for its strong, unique taste – a warm combination of fennel and celery, with a slightly bitter aftertaste. Dill is used extensively in the cuisines of Baltic and Eastern Europe, India, the Middle East, Scandinavian countries, and Southeast Asia to flavor borscht, canapes, compound butters, eggs, fish, pickles, sauces, soup, spreads and vegetables. It’s also found in a dried variety in the spice aisle. Fenugreek, Trigonella foenum-graecum, is an annual in the Fabaceae (legume) family thought to originate in the Levant and is used for it sweet and nutty flavor with notes of maple syrup. 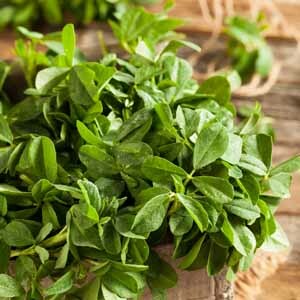 Commonly used in cuisines of south Asian, the Indian subcontinent, and the Middle East, fresh fenugreek is used to season curries, dal, garbanzos, pickles, potatoes, stews, and tomato sauce. 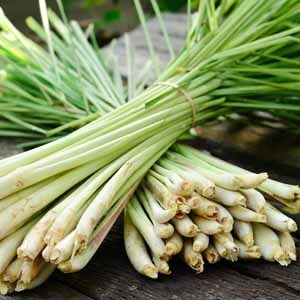 Lemon grass is native to and often found in the cuisines of Thailand, India, and Myanmar. 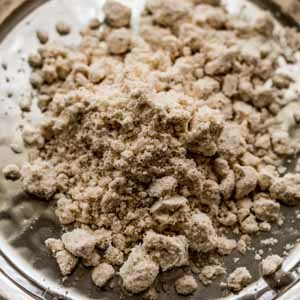 It has a citrus flavor similar to its namesake and can be used fresh or dried and powdered. It’s also used for medical purposes in India and as tea in Latin America and in eastern African countries such as Ghana, Congo, and Togo. It’s best used when chopped and minced due to its woody, fibrous nature. If used whole, it’s best to remove them before serving. It pairs well with chicken, shrimp, beef, pork, and lamb and often finds its way into Thai stir fry recipes. Lemon thyme, Thymus citriodorus, is a clumping perennial species in the Thymus genus, and is native to temperate areas of Asia, Europe, and North Africa for its sweet flavor of lemon and thyme. 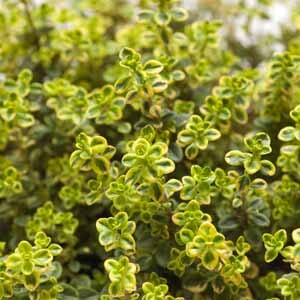 Its herbal, citrusy flavor makes lemon thyme an excellent seasoning for fish and seafood, herbal teas, marinades, poultry, sauces, soups, stews, stuffing, vegetables, and vinaigrettes and it also makes an aromatic garnish. Add fresh thyme at the end of cooking to preserve its flavor. Lovage, Levisticum officinale, is a leafy perennial in the family Apiaceae and is native to southern Europe and Southwest Asia. Similar in appearance to celery, its flavor is deep and earthy, an intense cross of celery and parsley. 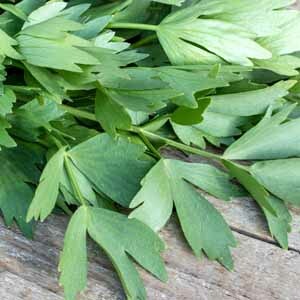 Popular in south and central European cooking, fresh lovage leaves are used as an herb to flavor fish, meat, pasta, poultry, rice, sauces, and vegetables. Use young tender leaves to add fresh, older leaves should season cooked dishes. Marjoram, Origanum majorana, is a cold-tender perennial herb in Lamiaceae family native to temperate Asia, Europe, North Africa, and parts of North America and has a flora, woodsy flavor of sweet pine and citrus. 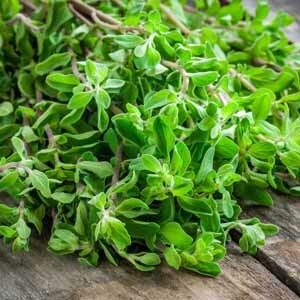 Fresh marjoram is widely used in Mediterranean and North American cooking to season game, marinades, meat, poultry, sauces, sausages, soups, stews, tomato dishes, vegetables, and vinaigrettes. Add fresh marjoram at the end of cooking, just before serving. Mint is one of several species in the genus Mentha of the Lamiaceae (mint!) family and is native to Asia, Australia, Africa, Europe, and North America. 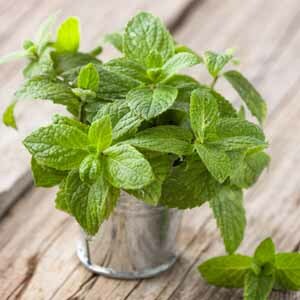 Spearmint and peppermint are common garden and grocery store varieties, and both feature a clean, sweet flavor with tones of eucalyptus and a distinct cooling sensation – peppermint having a sharper, more pungent taste than its parent, spearmint. 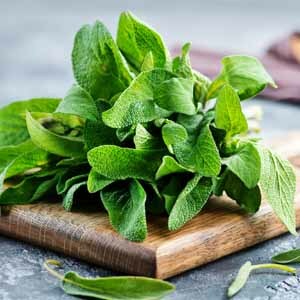 Fresh mint is widely used in Middle Eastern and British cooking to season fruit, lamb dishes, mint jelly, mint sauce, salads, and veggies like peas and potatoes. 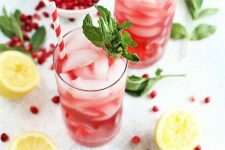 It’s also used to flavor alcoholic beverages, like grasshoppers, juleps, and mojitos, candies, chocolate, herbal tea, ice cream, and smoothies. Use fresh, tender leaves for best flavor. Oregano, Origanum vulgare, is a flowering perennial in the Lamiaceae family native to temperate regions of Western and Southwestern Eurasia including the Mediterranean basin. Intensely aromatic, its flavor is warmly pungent, with earthy notes of camphor, hay, and mint. Popular in the cuisines of the Mediterranean, Latin America, North America, and the Philippines oregano is used to flavor beans, breads, fish, grilled meat, lamb, pasta, poultry, salad, salad dressings, sauces, tomato dishes, and vinaigrettes. Parsley, Petroselinum crispum, is a biennial flowering herb in the Apiaceae family native to the central Mediterranean basin that is used for its clean, bright, and grassy flavor. 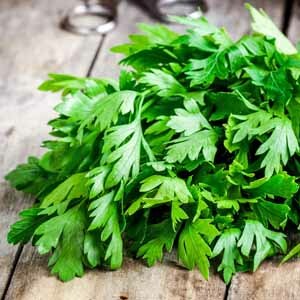 Commonly used in European, Middle Eastern, and North American cuisines, fresh flat-leaf parsley is used to flavor compound butters, fish, pasta, potato dishes, poultry, rice, salads, salad dressings, seafood, soups, stews, stock, vegetables, vinaigrettes and blends like bouquet garni and fines herbes. Curly leaf parsley is more commonly used as a pretty garnish. Read more about parsley here. Rosemary, Rosmarinus officinalis, is a perennial, shrubby herb in the Lamiaceae family native to the Mediterranean basin that is renowned for its strong, warm flavor of earthy pine. 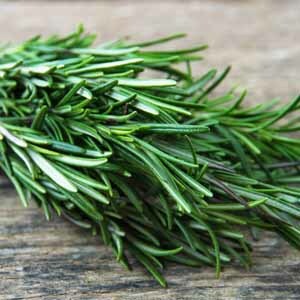 Used extensively in French, Mediterranean, and Italian cooking fresh rosemary seasons fish, grains, grilled meats, herbal teas, lamb, pork, poultry, rice, stews, vegetables, and vinaigrettes. Culinary sage, Salvia officinalis, is a perennial evergreen herb in the family Lamiaceae from the Mediterranean region. Its strong, warm, and peppery flavor has hints of citrus, eucalyptus, and pine. The strong flavor of fresh sage goes a long way in a recipe, so use a light touch to season eggs, fruit, gnocchi, pasta, poultry, sauces, sausages, stews, and stuffing. Shiso, Perilla frutescens, is a perennial plant in the mint family, Lamiaceae, indigenous to mountainous regions of Asia and India, but is usually grown as an annual in temperate zones. 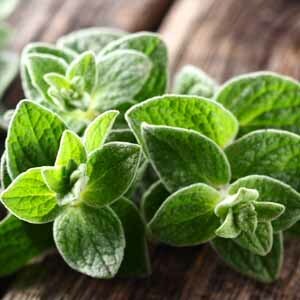 It has a strong, grassy flavor of anise, basil, cinnamon, and spearmint. 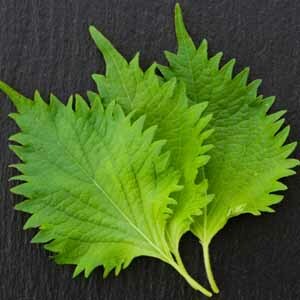 Used primarily in the cuisines of Japan, Korea, and Southeast Asia, fresh shiso leaves are used as a wrap and all-purpose seasoning for fish, noodles, pickles, salads, sashimi, seafood, and soups. Summer savory, Satureja hortensis, is an annual in the Lamiaceae family native to northern Africa, southern Europe, and the Mediterranean that’s used for its peppery, earthy flavors of pine, mint, and thyme. 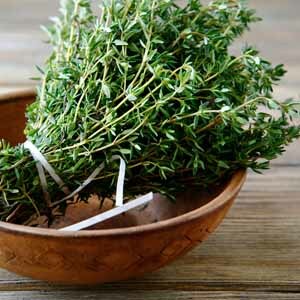 Fresh summer savory features prominently in European cooking and goes well with beans, eggs, fish, fresh summer vegetables, game, lamb, pork, poultry, rice, salads, salad dressings, sauces, sausages, stuffing, and vinaigrettes. 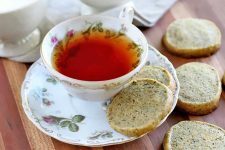 French tarragon, Artemisia dracunculus, is a perennial herb in the Asteraceae (sunflower) family that is indigenous to the temperate areas of central Asia and has a sweet, grassy flavor of licorice, pepper, and eucalyptus. 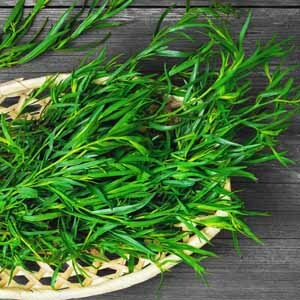 Fresh tarragon features prominently in French cooking, and is superb for seasoning Bearnaise sauce, compound butters, eggs, fines herbes, fish, poultry, salads, salad dressings, seafood, tomato dishes, vegetables. 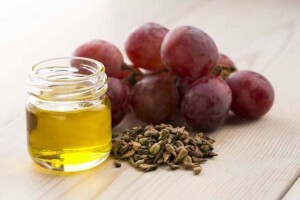 And it’s also used to great effect in condiments, dressings, sauces, tarragon vinegar, and vinaigrettes. Read more about tarragon here. Thai basil, Ocimum basilicum v. thyrsiflora, is a variety of sweet basil in the Lamiaceae family that is cultivated to produce specific characteristics for cooking. Like sweet basil, its flavor is bright and sweetly spicy with a distinct licorice taste and notes of cloves. Used extensively in the cuisines of Vietnam and all Southeast Asia, Thai basil is more stable under high temperatures making it suitable for cooking. Use it fresh in dishes such as curries, fish, grilled meats, noodles, pesto, pho, sauces, soups, spring rolls, stir fries, and vegetables. 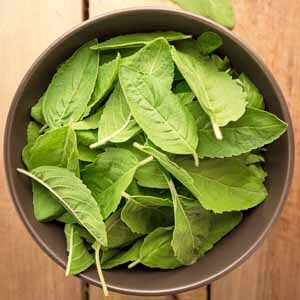 Thai basil can be used interchangeably with sweet basil in most dishes. Read more about Thai basil here. Common garden thyme, Thymus vulgaris, is a flowering perennial herb in the Lamiaceae family native throughout the western Mediterranean and into southern Italy. 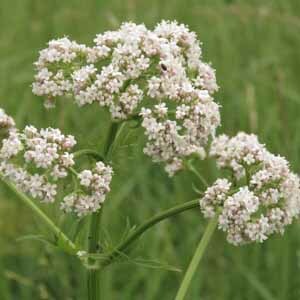 It has an intense woodsy/floral flavor, and depending on the species, can have tones of caraway, lemon, or mint. 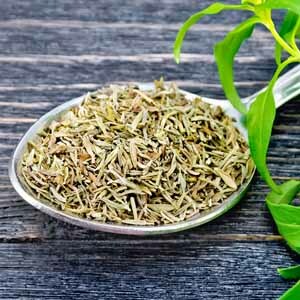 Popular in French, European, Mediterranean, and Middle Eastern cooking, thyme is a primary ingredient in the Levantine spice mixture za’atar as well as the French blends of bouquet garni and herbes de Provence. 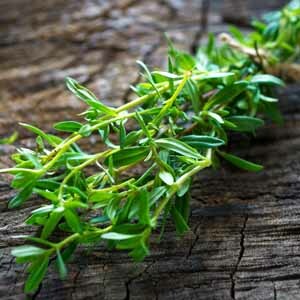 Use fresh thyme to season beans, cheese dishes, eggs, grilled meats, lamb, lentils, poultry, sauces, stews, stock, stuffing, soups, tomato dishes, vegetables, and vinaigrettes. Wasabi, Eutrema japonicum, is a plant of the Brassicaceae (cabbage) family native to mountainous river valleys in Japan. With an extremely strong and pungent flavor similar to horseradish or hot mustard, wasabi produces vapors at the back of the mouth that stimulate the sense of smell as well as taste buds. Used extensively in Japanese cuisine as a condiment for sashimi, soba, and sushi, fresh wasabi is also showing up in Western cooking to flavor avocados, guacamole, hamburgers, roast beef, and sauces. 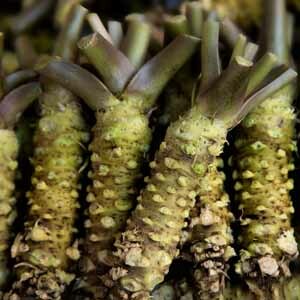 The wasabi stem should be fresh grated for peak flavor, or it can be purchased pre-grated in tubes for convenience. Read more about wasabi here. From baharat to Za’atar seasoning, herb and spice blends are the basis for many ethnic cuisines throughout the world. Adding these mixes to your cooking repertoire can add an authentic touch to your efforts at international cooking and make your culinary creations turn into something special. Baharat is a blend of spices using allspice, black pepper, cardamom, cinnamon, cloves, coriander, cumin, nutmeg, and paprika – regional variations may also include loomi, mint, red chili peppers, rosebuds, saffron, and turmeric. The mixture imparts a sweetly toasted, smoky flavor with a mild spiciness. 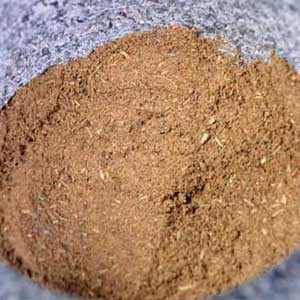 Used in Greek and Middle Eastern cuisines, baharat flavors beef, breads, chicken, couscous, dry rubs for meat, fish, lamb, lentils, rice, seafood, soups, stews, and tomato dishes. Bebere is a spice mixture with familiar, and perhaps unfamiliar, ingredients that include ajwain, basil, chili peppers, fenugreek, garlic, ginger, korarima, nigella, rue, and salt. This aromatic mixture has a rich, complex flavor of bitter, spicy, and sweet notes. Bebere is an important component in east African cuisine used dry as a rub or seasoning, or it can be mixed with oil to make a paste. Delicious in slow-cooked dishes like beans, grains, lentils, meatballs, roasted vegetables, and stews it also shines via a western BBQ – try it as a marinade or dry rub on the likes of grilled burger patties, chicken, pork, ribs, steak, and veggies or in a big pot of chili. 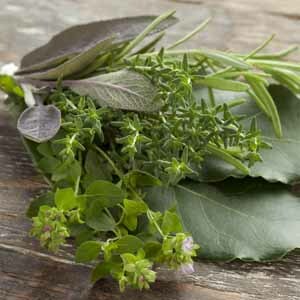 The bouquet garni is a small bundle of fresh herbs, traditionally made of bay leaves, parsley, and thyme, and are usually tied together with string or in a cheesecloth sachet for cooking. Variations can include bay leaves, burnet, chervil, peppercorns, rosemary, sage, savory, or tarragon and impart a fresh, herbal flavor. Popularized by French cooking, a bouquet garni is suited to release its flavors in slow-cooking dishes such as beans, bouillabaisse, Bourguignonne, sauces, soups, stock, and stews. Chili powder is a combination of the dried and ground fruits of a variety of chili peppers, usually cayenne, but might also include other chili peppers such as ancho, bell, chipotle, or jalapeno. The ground chilies are combined with cumin, garlic, oregano, paprika, and salt and the intensity can vary depending on the types of peppers used, but generally flavors are hot and spicy with woodsy or smoky notes. 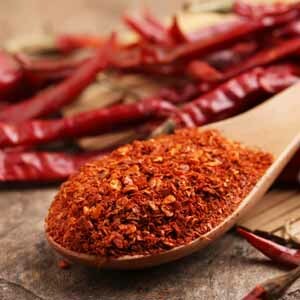 Chili powder is used in several cuisines including Asian, Indian, Korean, Mexican, Portuguese, Tex-Mex, and Thai to season beans, chili con carne, grilled meats, soup, stews, tacos, and vegetables. Five-spice powder is a blend of five spices, cassia (Chinese cinnamon), cloves, fennel seeds, star anise, and Szechuan pepper, that create a warm and sweetly spicy flavor. 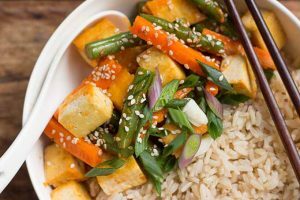 Other ingredients can include anise seeds, cardamom pods, dried Mandarin orange peel, galangal, ginger, nutmeg, or turmeric. 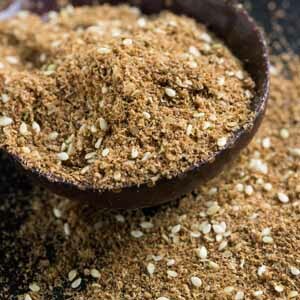 Popular in Chinese and Taiwanese cooking, five-spice power is used as a dry rub or to season savory dishes like bread coatings, fish, meat, poultry, seafood, stews, stir fries, and vegetables. 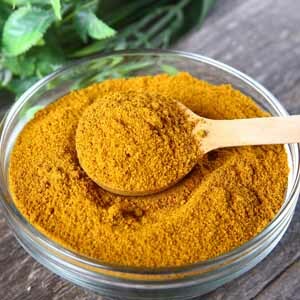 Curry powder is a blend of spices used to mimic the multi-layered flavors of Indian cuisine – although it’s not actually used in authentic Indian cooking. The earthy and sweetly spicy flavors of chili peppers, coriander, cumin, fenugreek, and turmeric were created for colonial Brits to try and replicate the rich, complex flavors of the Indian subcontinent back home. Other common ingredients include asafoetida, black pepper, caraway, cinnamon, cloves, fennel seed, mustard seed, and nutmeg. Used to quickly flavor Western versions of Indian dishes such as curry, marinades, meat, poultry, rice, sauces, soups, stews, and vegetables. Curry powder is also well-suited for egg dishes, hamburgers, and potato salad. 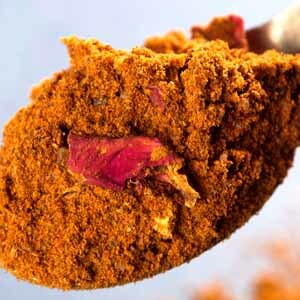 Read more about curry powder here. 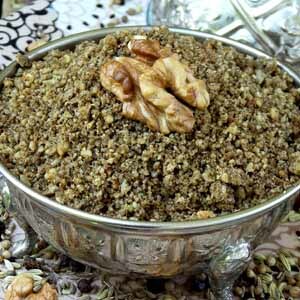 Dukkah is another spice blend that includes toasted almonds, hazelnuts, and sesame seeds along with coriander and cumin. 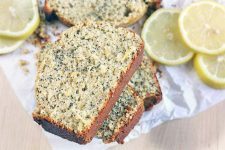 Other regional ingredients might include black pepper, caraway, marjoram, crushed mint, pine nuts, pumpkin seeds, sunflower seeds, and walnuts. The flavor is warm, earthy, and nutty with a satisfying crunch thanks to the nuts. Popular in Egyptian cuisine, dukkah makes a great spice crust or dry rub for chicken, fish, grilled meats, and lamb. And when mixed with olive oil, it makes a delicious dip for crusty bread and vegetables. 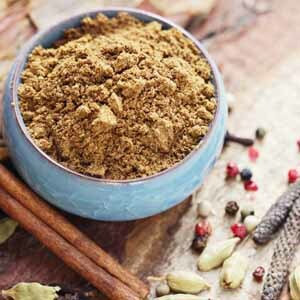 Garam masala is a mixture of dried and ground warming spices, typically made of black peppercorns, cardamom, cinnamon, cloves, coriander, cumin, and nutmeg. Regional variations can also include asafoetida, chili peppers, cubeb, and star anise. Flavors are warm, rich, and complex – more noted for their depth and warming, thermogenic properties than for spicy heat. Used extensively in the cuisines of India and the Indian subcontinent, garam masala is used as a flavor base for curries, fish, legumes, meat, poultry dishes, rice, sauces, soups, and vegetables. 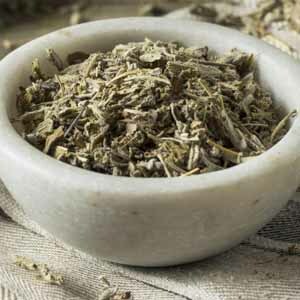 Herbes de Provence is a blend of dried herbs that are native to southeastern France and typically include marjoram, oregano, rosemary, savory, and thyme. Variations can also include the herbs basil, bay leaf, chervil, fennel, and lavender. The flavor is herbal and piney with a sweet perfume. Commonly used in French cuisines, herbes de Provence is used to season fish, grilled meats, roasted or stuffed vegetables, pasta, pizza, poultry, ratatouille, soups, stews, stock, and tapenade. 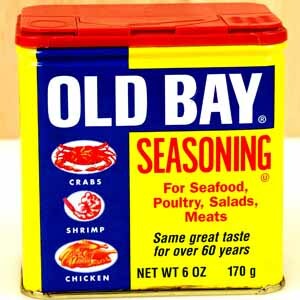 Old Bay is mixture of herbs and spices developed in Maryland that lists celery salt, black pepper, paprika, and red pepper flakes in its ingredients. The combination creates a warm, salty flavor with a hint of spiciness. Traditionally used to season Baltimore crabs, Old Bay lends its flavor to clam and fish chowders, crab cakes, cocktail sauce, oyster stew, salmon patties, seafood batter, steaming liquid for clams and lobster, and tartar sauce. It’s also popular as a seasoning on baked potatoes, corn on the cob, eggs, French fries, popcorn, and potato salad. Pickling spice is a blend of whole and crumbed herbs and spices used in pickling for their sour and spicy flavors. Common ingredients are allspice, bay leaves, black pepper, chilies, cinnamon, cloves, coriander, mace, and mustard seed. Other popular pickling spices are allspice berries, cardamom pods, celery seeds, cloves (whole), dill seeds, fennel seeds, ginger root, juniper berries, mace blades, and star anise. For some recipes, the spices are tied into a cheesecloth sachet for cooking then removed before canning, others have the spices added loose. Use pickling spice in chutneys, pickles, preserves, relishes, stews, and roasted vegetables or as a dry rub for grilled meats. 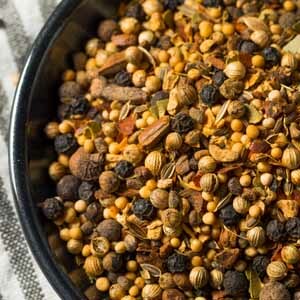 This spice blend was designed to add flavor to chicken, quail, turkey, squab, Cornish game hens, as well as stuffing. 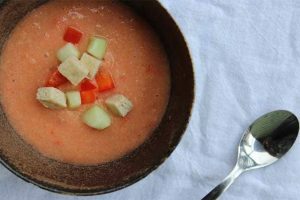 However, it’s also a great all purpose mix to add to soups, stews, red meats, and veggies. Add a dash to your chicken pot pie or dumpling dish for a quick and easy flavor additive. Thyme and dried sage along with lesser amounts of nutmeg, rosemary, marjoram, and black pepper make up the bulk of the the basic mix. Other spices that may be added include allspice, celery seeds, ground ginger, oregano, lemon peel, parsley, savory, dried onion, cayenne, garlic powder, cloves, and/or paprika depending on the recipe or commercial blend. Read more about poultry seasoning here. Pumpkin pie spice mix is a blend of dried and ground warming spices that evolved from the pilgrims combining New World pumpkins with spices. Today’s mix typically contains allspice, cinnamon, cloves, ginger, and nutmeg (or mace) and has a warm, sweet, and spicy flavor. Used in autumn and winter baking, pumpkin pie spice adds flavor to breads, hummus, muffins, pancakes, pies, pumpkins, scones, roasted root vegetables, and winter squash. It also adds its piquant sweetness to coffee, mulled cider and wine, and spicy teas. 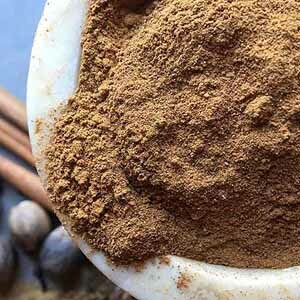 Read more about pumpkin pie spice mix here. Ras el hanout is a spice mix that consists of a minimum of 12 dried, toasted, and ground spices and herbs and a seemingly limitless maximum number! The basics are allspice, cardamom, chili peppers, cinnamon, cloves, coriander seed, cumin, fenugreek, ginger, mace, nutmeg, paprika (hot), peppercorns, and turmeric. Regional variations can also include dried anise, ash berries, chufa, fennel seeds, galangal, grains of paradise, orris root, and rosebuds. 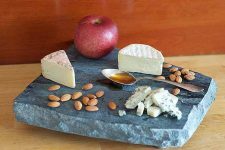 The flavor can vary with ingredients, but generally it has a deep, earthy flavor – sweet, spicy without too much heat, and floral notes. Extensively used in the cuisines of Morocco and neighboring North African countries, ras el hanout is used in numerous savory dishes like chickpea/veggie dishes, couscous, falafels, fish, grilled meats, lamb, stews, soups, and tagines. 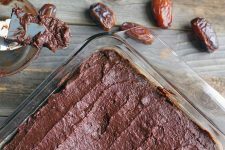 Or it can be used as a dry rub for fish, meat, or poultry, added to condiments like a cucumber riata or homemade ketchup, and to season sweetened dessert fruits like apricots, dates, and figs. 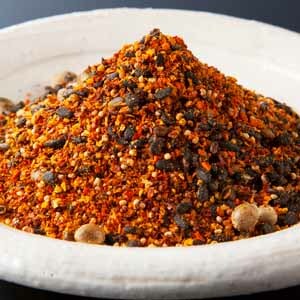 Shichimi togarashi is a seasoning mix made up of seven flavors – typically dried and ground chili pepper, nori, orange peel, poppy seeds, sansho (Zanthoxylum piperitum or Japanese pepper), and sesame seeds, both white and black. The flavor – salty, savory, and spicy – is delivered quickly, but doesn’t linger. 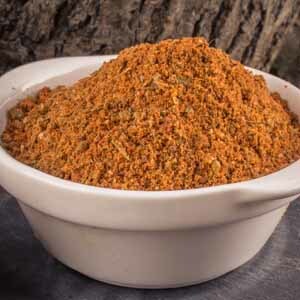 Used in Japanese cuisine, shichimi adds flavor to beef bowls, marinades, meatballs, noodles, pork patties, rice dishes including cakes and crackers, soups, sauces, and as a dry rub for grilled meats. Za’atar seasoning is a blend of dried and ground herbs, spices, and seeds that’s been around since Biblical times. Made of marjoram, oregano, salt, thyme, and toasted sesame seeds, variations can also include allspice, caraway seeds, cinnamon, cloves, coriander, cumin, fennel seeds, rosebuds, savory, and sumac berries. The flavor is clear and herbal with strong nutty notes. Used throughout the Levant, Za’atar is popular in the Middle East where it’s typically sprinkled onto flat breads brushed with olive oil, mixed with yogurt into a dip, or used to season hummus, meats, and vegetables. Its flavor also suits pasta sauces, pizza, and salads. Now that you’re familiar with the many flavorful herbs and spices available, will you be trying out some new seasonings? Let us know in the comments below and check out our article on the best spice racks – you’re going to need somewhere to store all these tasty ingredients! Pumpkin pie spice photo by Nikki Cervone, poultry seasoning photo by Mike Quinn, “Old Bay Seasong” photo via Shutterstock, all other photos via Shutterstock, © Foodal / Ask the Experts, LLC. ALL RIGHTS RESERVED. See our TOS for more details. Additional writing and editing by Mike Quinn.